ASI George and CPO Krishnakumar sustained injuries in the scuffle. 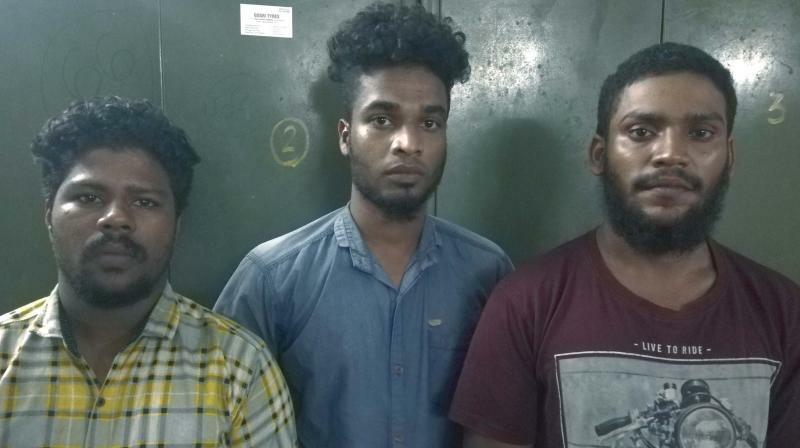 KOCHI: The Ernakulam Central Police on Monday held three of a five-member gang who allegedly assaulted a police team while attempting to take them into custody for drinking in public. Joseph Sajan, sub-inspector of police, and his team arrested Amal, a native of Kunjattukara and Sujith and Anish of Pookattupady. After receiving information that a gang is involved in consuming liquor in public at nearby KSRTC bus station in the city, the police team arrived at the spot late on Sunday night. However, while taking two into the police vehicle, three others turned violent and attacked officers. ASI George and CPO Krishnakumar sustained injuries in the scuffle. Two of the assailants escaped while three others landed in custody. Cops are on a search for the remaining two.